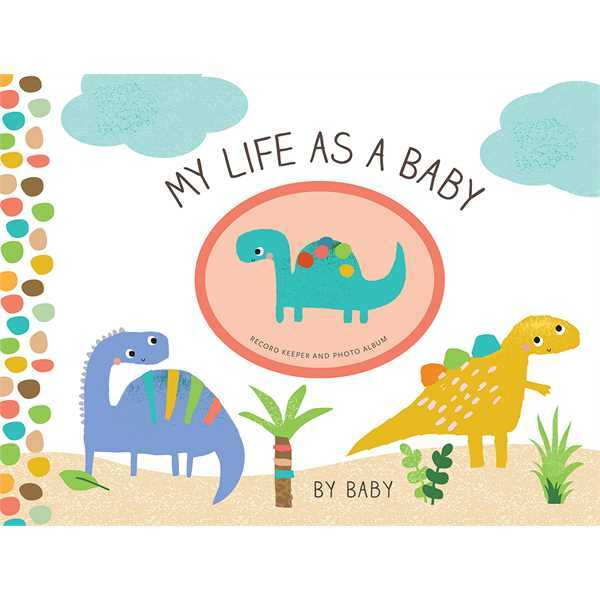 Dinosaurs - My Life as a Baby: Record Keeper Photo Album. The first year, from the baby's point of view, with space for all the details - from homecoming to all Baby's firsts - and photos. Features 48 full-color pages and covered wire-o binding. Die-cut hardcover holds a photo. Measures 8 1/4" wide x 5 3/4" high. Archival, acid-free paper helps preserve your memories. Size: 8 1/4 " x 5 3/4 "